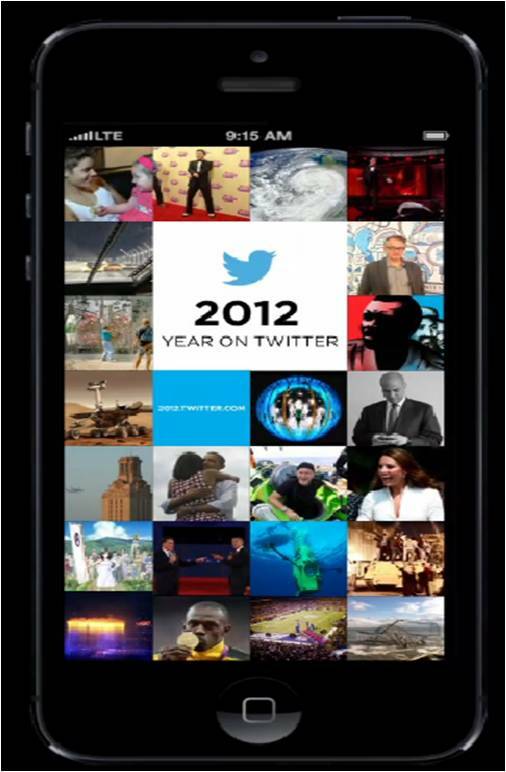 2012 has seen some significant global events and all of these have played out on Twitter. From London 2012 to Hurricane Sandy and the US Election, tweets have captured the vital moments and Twitter has provided a back channel that has rewarded Twitter users with additional insight and extra information. 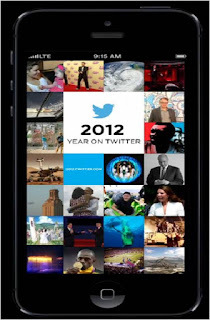 2012 Twitter activity is also hubbed at a website at http://2012.twitter.com. This allows key tweets to be explored in different ways - looking at Trends, New Voices, Golden Tweets and so on. There is also the opportunity to login to your own account and visualised your own tweets using the Vizify powered app.